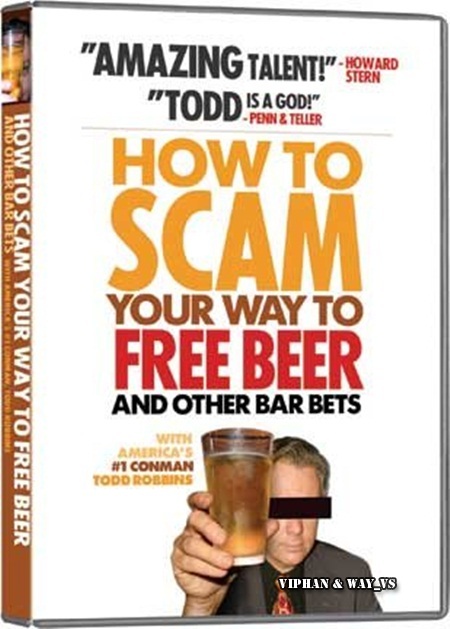 How to Scam Your Way to Free Beer and Other Bar Bets | Free eBooks Download - EBOOKEE! Posted on 2012-08-06, by way_vs. Sit back and pour yourself a drink. It's the last one you're going to pay for. America's #1 con man, TODD ROBBINS ("TODD IS A GOD!" - Penn & Teller; "A LEGEND!" - New York Post) shows you why the local bar has always been the best place for a scam artist to find a victim, or "mark." Todd shares his favorite "bar betchas," games your marks can never win, puzzles they won't solve, and tricks they'll never see coming. These 30 scams include MATCHED!, an ancient Egyptian matchstick game that once won Nick the Greek $200,000, SHOT DOWN, a simple challenge that will drive friends crazy, ALL-THUMBS, a "betcha" perfect for breaking the ice ... and loads more! No comments for "How to Scam Your Way to Free Beer and Other Bar Bets".